Craft Time and Cupcakes: Let My Favorite Season Begin! Let My Favorite Season Begin! Well between a sick hubby, two sick kiddos, and Thanksgiving I haven't been able to share my favorite time of year with you. 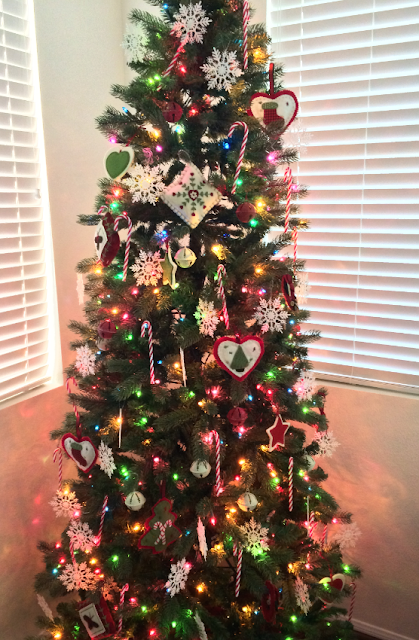 My tree is up! I love it so much! I bought this tree last year at Lowes and it's my favorite tree I have ever owned. 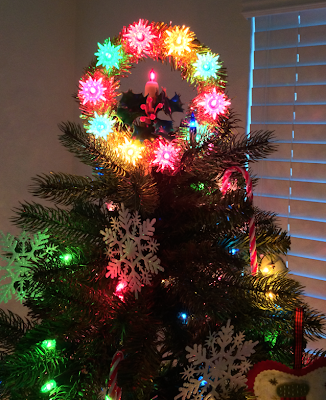 It's a slim tree with multi-colored lights which is very hard to find. And it's 7 feet tall. 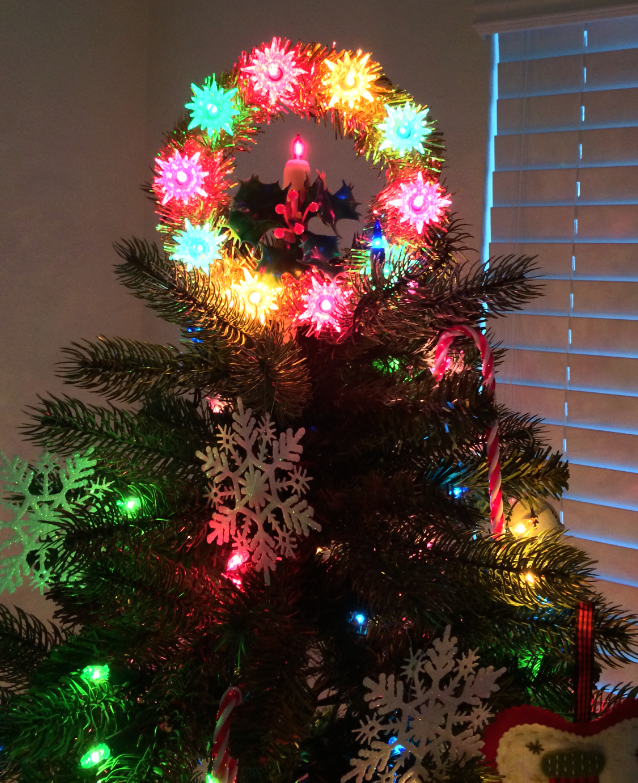 I have a tendency to go for a homespun feeling with my Christmas tree so I love using my felt ornaments and snowflakes. Cute huh? For my topper I used one I bought at least 10 years ago. You just don't find toppers like this anymore. It might not exactly match the theme of the rest of my tree but it reminds me of how my grandma used to decorate her house at Christmas time so I put it up for all to see. Isn't that what the holidays are all about? I have some new things coming to the blog soon. I am attempting to do a December Daily book for the first time. I will share that with you as soon as I get the first week of the month done. I am planning out my cookie exchange for Christmas day. The cookies have to be great but the presentation has to wow them. Christmas cards are in the works and I am also applying for a few more design teams this month. So wish me luck! Thanks for hopping by today Christmas Crafty Friends. I hope you have a great Sunday!